How do you decide the cutest cat in the world? That question served as the unlikely inspiration for Princeton sociology professor Matthew Salganik, who, when doing research on crowdsourcing, stumbled across Kitten Wars, a site that pits saucer-eyed felines against each other in a battle of cuteness. Salganik had been developing an online tool to help organizations solicit ideas from large numbers of people, and this Hot-or-Not-for-cats Web site actually helped crystalize his concept. Called All Our Ideas, Salganik’s service combines sociology and computer science techniques that enable organizations to collect ideas and rank them more effectively. Organizations can set up their own Web sites using the system, and pose questions with possible answers. 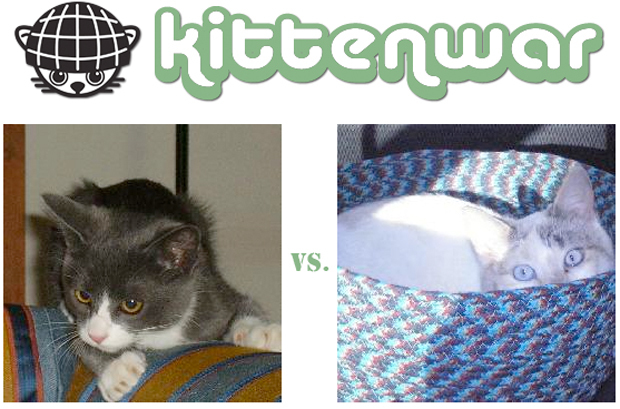 Similar to Kitten Wars, when respondents visit the site, they’re presented with two possible answers to a series of questions, and can choose whichever they deem best. If they find neither answer suitable, users can submit new ideas, which other respondents will be able to vote for or against. In this marketplace of ideas, the better ones quickly climb the charts, while those most often voted against are dismissed. All Our Ideas fixes these issues, providing a way to sort through a huge number of ideas rapidly and effectively. It has already proved invaluable for some organizations. In 2008, the Princeton student government used Salganik’s system to discover which areas its undergrads were most concerned with. Though the student government provided some 200 possible ideas of its own for answers, of the some 40,000 votes cast, the two most-popular ideas were ones the student government hadn’t considered before and ones submitted by the student body. Not to mention soft spots for furry kittens.